With the arrival of the last alien of Ikko Mokei's trilogy, the invasion of planet Earth is now complete. 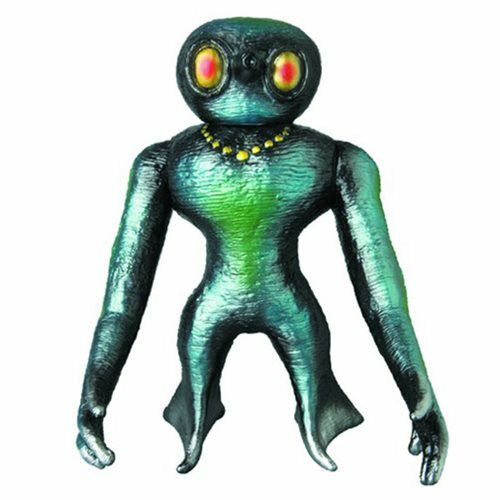 This handsome glossy-green fellow with the hypnotic eyes stands about 9-inches tall and comes from Medicom Toy. Add the Giran Seijin Sofubi Vinyl Figure to your collection today! Ages 15 and up.